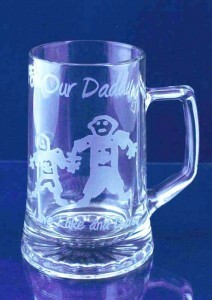 Why not get your Dad or Granddad something that they can really treasure forever. 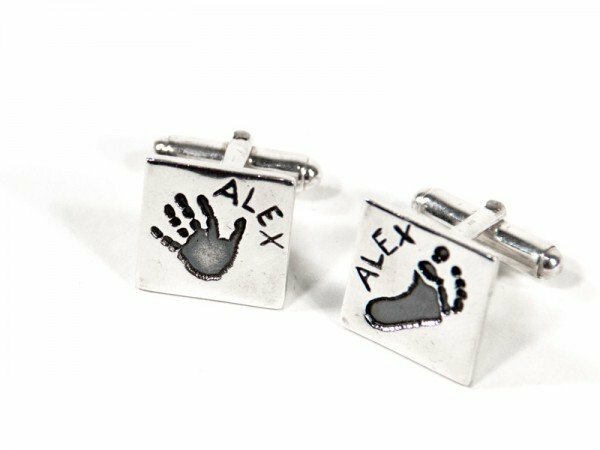 Men can be very difficult to buy for but our gift ranges enable you to get the ideal personalised Father’s Day gift made especially for them. Calli’s Corner can make you the perfect personalised Father’s Day gift. 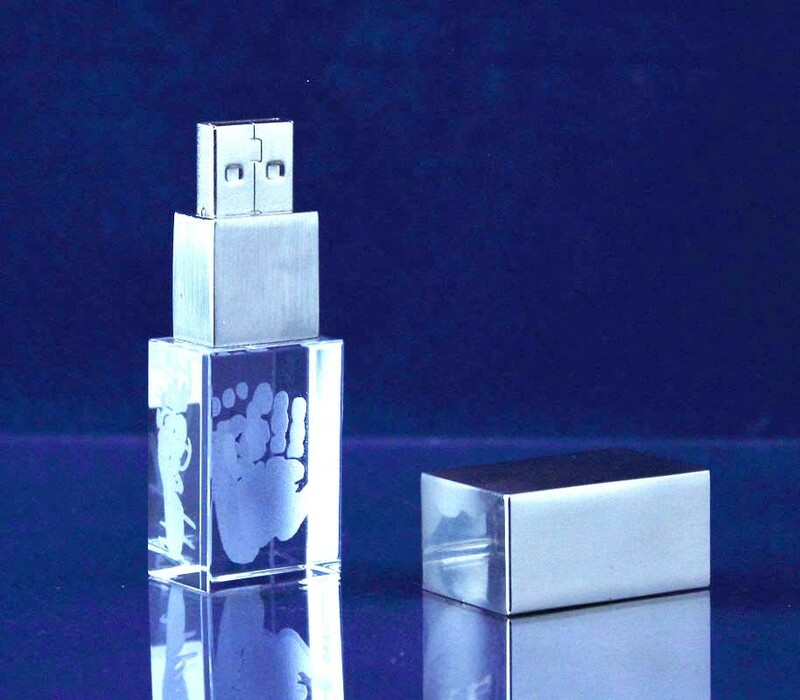 Calli’s Corner gifts are both personalised and functunal, and range from silver fingerprint and hand and footprint cufflinks to hand and footprint crystal glass USB Memmory Sticks. Calli’s Corner Crystal Glass Range is brand new. You can have either yours or your child’s hand and footprint applied to a range of beautiful crystal glass gifts or a child’s drawing especially for their Dad or Granddad. 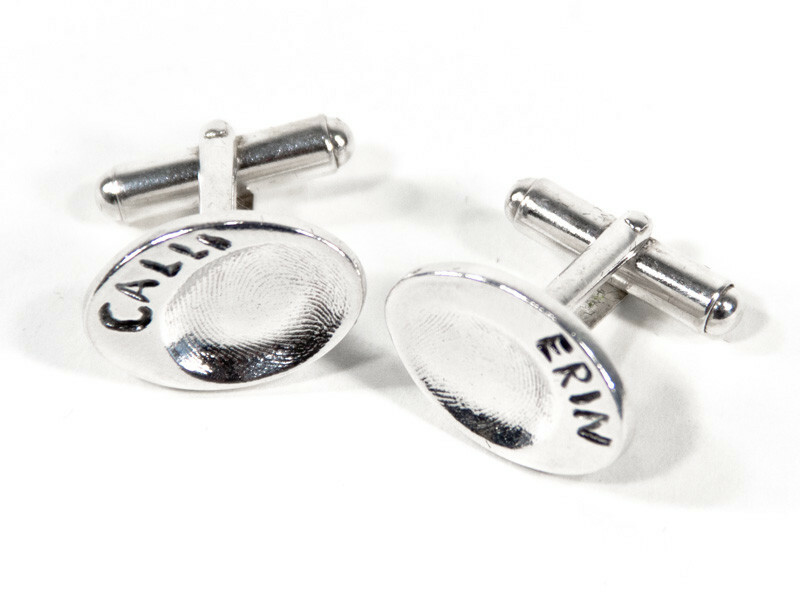 Our personalised Father’s Day gifts are a perfect choice for somebody who already has everything. 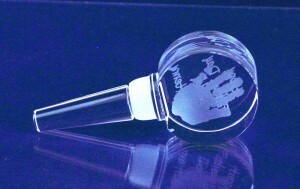 A Calli’s Corner bottle stopper with your unique handprint on is a popular option and goes perfectly with your loved one’s favourite tipple. 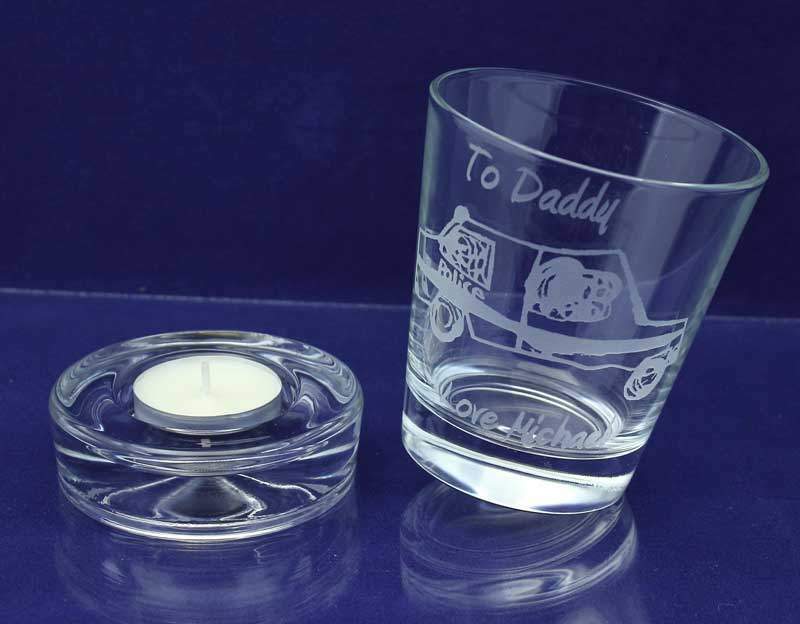 Or for a bit of fun see our rocking Whisky Tumbler off its base which doubles as a Tealight holder. If our glass range isn’t for you then Calli’s Corner Silver Fingerprint gift range is very popular with Dad’s and Granddads. 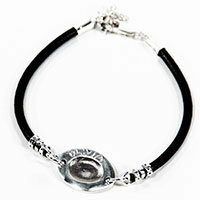 We use 99.9% best quality silver for all our jewellery. 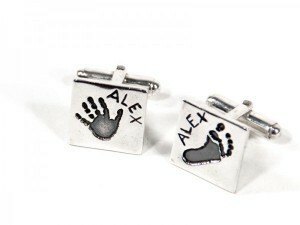 Our hand and footprint cufflinks are a sure bet with all the men. 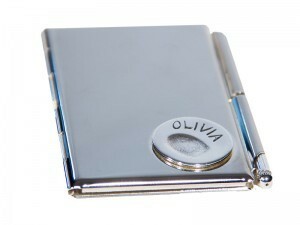 Who wouldn’t want to take a little something of their children wherever they go. 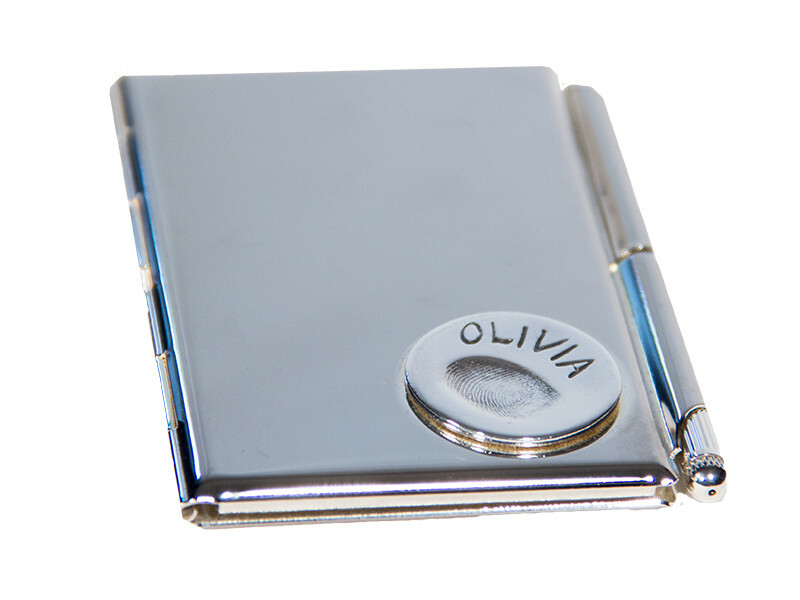 Other perfect personalised Father’s Day gift ideas from the Calli’s Corner Range include our silver notebook holder and pen, our business card holder, and our mans leather bracelet. Our whole range can be found on our website. For Further information or to make a booking visit our booking page and find your nearest artist and venue. 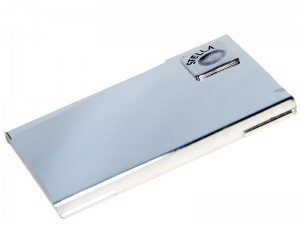 Remember to like our facebook page to be kept up to date with new Calli’s Corner products and offers.